This distinctive volume reveals a unique antique kimono collection through various delicate Japanese colors and their use in kimono. The Japanese sensibility is immediately apparent in the classification of the nine traditional color categories of red, green, pink, blue, brown, purple, yellow, black/white, and gold/silver. Each spread presents a single color showing a page-wide photo of a kimono accompanied by a description of the color and its meaning in the context of Japanese culture. 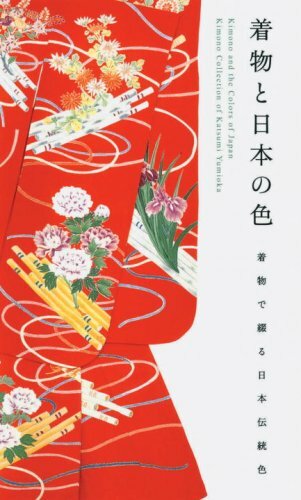 The author explains, "We organized the kimono and obi (sash) according to what I like to call ‘Japanese Kokoro no Iro’—colors of the Japanese heart. Each category presents what individual colors express or signify. For example, we use white, black and gold as an expression of cheer. Red indicates the sun, blood, and fire. White, black, and silver express sadness." With the knowledge of both Western and traditional Japanese fashion cultures, Yumioka presents and describes his collection in an easily accessible style. If you have any questions about this product by Brand: PIE Books, contact us by completing and submitting the form below. If you are looking for a specif part number, please include it with your message.